Ayvalık was an important trade centre during Ottoman times, it had an autonomous status and many European powers even set up consulates. The city then was almost completely inhabited by Greeks, who were exchanged with Turks from Crete when a population swap was mandated between governments of Turkey and Greece in 1923. The fusion of local Greek and Cretan cultures caused the character of today’s Ayvalık: while most of the physical historical heritage is clearly Greek, the everyday culture lived on the streets between those buildings, including the local food, is mainly Cretan. 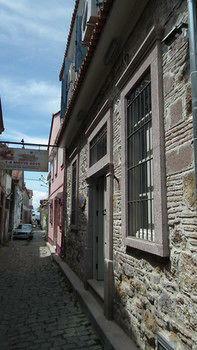 Ayvalık’s ancient name was Kydonia. Although both Kydonia and Ayvalık means ‘the place of quince’, the city is rather known for (and indeed surrounded by) a seemingly endless forest formed by olive trees. Olive has been important to Ayvalık in all ages, as it has been revered by both former Greek residents and present Cretan ‘immigrants’ (who live in Ayvalık for at least three generations). Ayvalık is one of two bigger towns in northern Aegean Region which has achieved to conserve its traditional architecture (to a high degree, that is), with the other such town being Foça, which is located about 60 km north of Izmir. Tourism Information Office (Turizm Danışma), ☎ +90 266 312 21 22. The nearest airport is Edremit Korfez Airport (EDO IATA) which is 40 km distance and has direct flights from Istanbul and Ankara. A larger and international airport, Izmir's Adnan Menderes Airport (ADB IATA) is 175 km away. The nearest station is Balikesir, on the line between Izmir (Basmane station) and Bandirma on the Sea of Marmara (with fast ferry connections to Istanbul). There are two trains in each direction every day except Tuesday, when only one of the trains runs. Between Balıkesir and Ayvalık, the bus takes about 1 hr 45 min. Ferries connect Ayvalik with the Greek island of Lesvos daily during the high season. A round trip costs €35/person, a one way trip is €29/person, tickets can be bought from several different offices found on the main road around the harbour in Mitylini - Lesvos. In low and shoulder season however there are only 4 ferries per week. Local buses run frequently from Alibey Island (Cunda) to the center and from Ali Cetinkaya to Camlik districts. As a more comfortable and faster option, "Dolmus" taxis run from Alibey Island (Cunda) and from Ali Cetinkaya to 41 Evler districts. There is also a ferry operating between Alibey Island (Cunda) and Ayvalik town center in the summer months. Çınarlı Camii (Çınarlı Mosque) (close to Saatli Camii). Former Agios Giorgis, this is another neo-classical-Greek-church-turned-mosque in town centre. Its pink outside is even more finely decorated with ornaments than Saatli Mosque. Sarimsakli Beach 8 km south of the town, Sarimsakli beach is 7 km long and widens up to 100 m. Along the beach, there are a number of restaurants and hotels. Altinova Beach 13 km south of the town, Altinova is famous for its beach as well as picnic areas and its forest. Around the outlying islands in the bay, especially in the area off Güneş Island, Yuvarlak Island and Kerbela Rocks offers some diving opportunities. The most popular area is the waters off Kiz Island with interesting underwater fauna at a depth of 19 m.
Everything related to olive: Olive oil, brined olives, castile soap... Take a stroll in the famous street market "Persembe Pazari" on Thursdays in the narrow streets in the back of the town center. Antikhan Guest House, Sakarya Mah. Cumhuriyet Cad. 216, ☎ +90 266 312-46-10. Check-in: noon, check-out: 11AM. 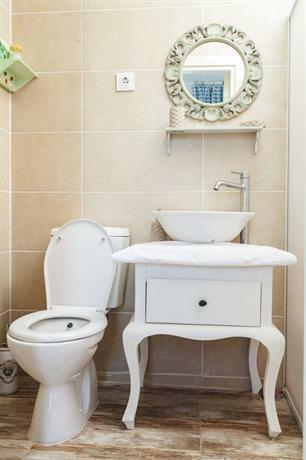 A family-run guesthouse in a lovely old Greek house, close to the sea. 25 TL. 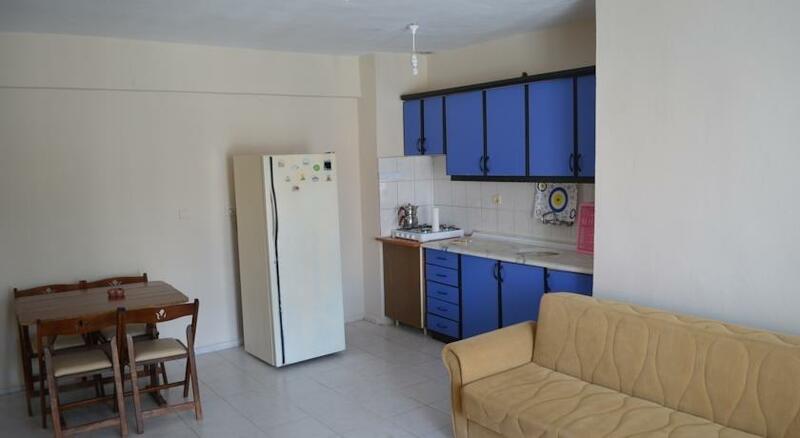 1 Ayvalık Günlük Kiralık, Balikesir, ☎ +90 549 7376065, e-mail: ogmenler@hotmail.com. Summer rental houses. Ayvalik Sarimsakli Cunda, ☎ +90 266 324-11-11, e-mail: hakanbiret@biretemlak.com. Guesthouse with garden. 2 Ayvalikvip, Balikesir, ☎ +90 549 7376064, e-mail: info@ayvalikvip.com. Bedroom hotel on Cunda. Standard rooms offer French beds, en suite bathrooms, air-con, satellite TV, and wireless internet. Car parking available. 10 TL. Casa di Ada, Üç Kuyular Caddesi No: 18/1 Alibey Adasi / Cunda, ☎ +90 266 327-30-41. 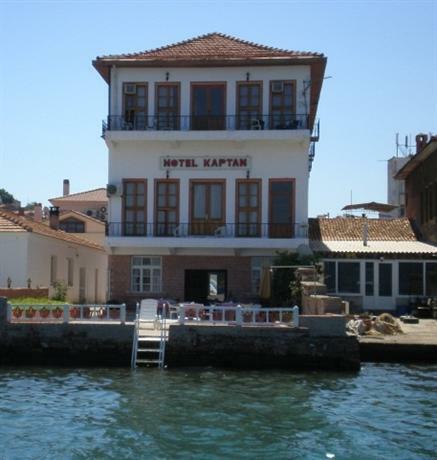 6 bedroom hotel on Cunda. Standard rooms offer French beds, en-suite bathrooms, air-con, satellite TV, and wireless internet. Carparking available. 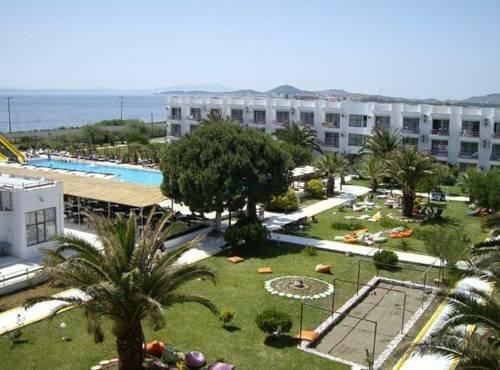 Otel Deniz, Cunda (on Cunda Island), ☎ +90 266 327-10-12, fax: +90 266 327-18-72, e-mail: bilgi@oteldeniz.com. 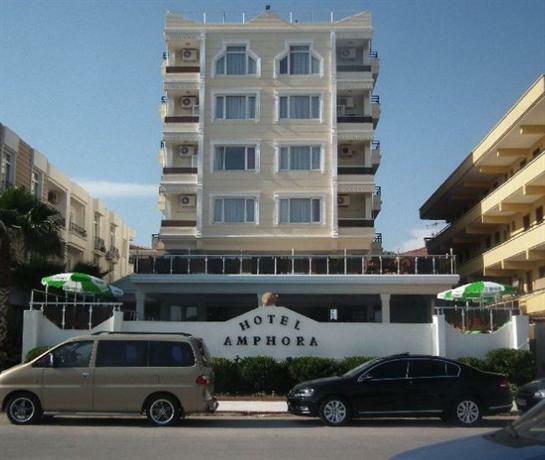 Rooms with en suite bathrooms, air-con, TV. Garden and/or sea view. Smoking and non-smoking rooms available. Selin Pansiyon, PTT arkası, Karantina sok. 3 (behind the postoffice), ☎ +90-530-468-38-48. €15. Sozer Motel, Camlik Mah. 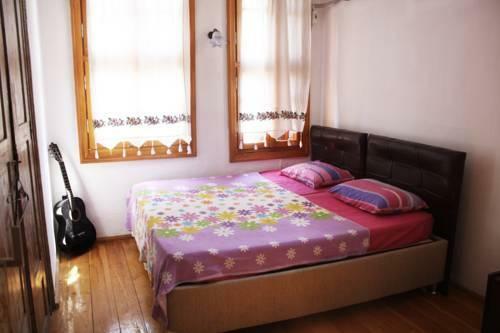 No: 71 (On the way to Sarimsakli beaches 1.5 km from the center), ☎ +90 266 312-44-74. Clean, modern rooms with shower and WC. Air conditioning, TV, fridge, hair drier, heaters, hot water, wireless internet, all you can eat breakfast. 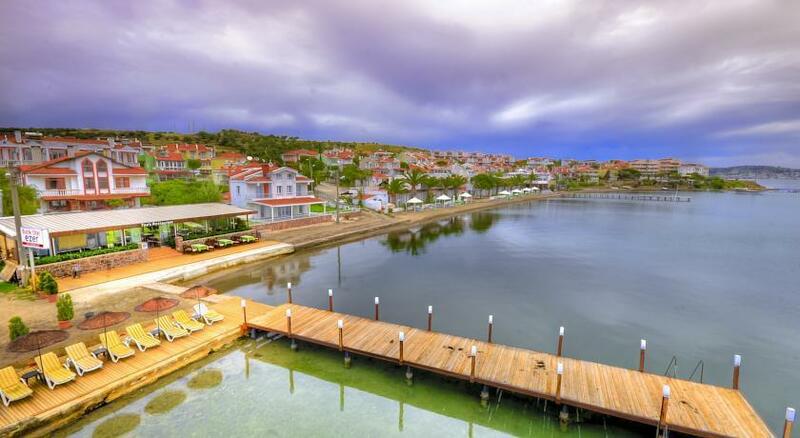 3 Tatil Emlak, Balikesir, ☎ +90 549 7376066, e-mail: tatilemlak@hotmail.com. Rental houses.